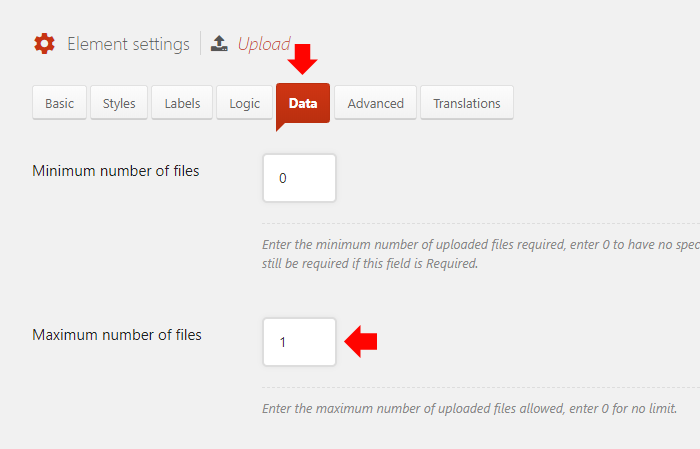 Quform WordPress v2 DocumentationFAQElementsHow do I allow multiple file uploads? Go to the settings for the File Upload element. On the Data tab, at the field Maximum number of files increase the number in the field (or set it to 0).